On April 7th, the Damn Dirty Geeks recorded our first live audience podcast episode at Eliot Brodsky's fantastic annual convention, Monsterpalooza, in Pasadena -- an entire weekend filled with guest appearances, star-studded stage panels and the top monster artists in the business. We launched the event with our live podcast recording with two special guests: actor/writer/director/puppet creator Kirk R. Thatcher and co-creator of The Rondo Hatton Classic Horror Awards, writer David Colton. Get ready for a rip-roaring, fun hour-plus as Kirk takes us on a whirlwind tour of his career, from working in the creature shops of RETURN OF THE JEDI and GREMLINS, to playing the annoying punk opposite Kirk and Spock in STAR TREK IV: THE VOYAGE HOME, to writer of MUPPET TREASURE ISLAND and director of JIM HENSON'S TURKEY HOLLOW. Kirk is a barrel of laughs and has a hilarious gift in telling stories about working with George Lucas, Jim Henson, Leonard Nimoy and many other talented collaborators on Thatcher's many creative projects. David Colton, a journalist and executive editor for USA Today, is a lifelong fan and supporter of horror films and founder of the Classic Horror Film Boards who coined the term Monster Kid to celebrate the generation of fans who grew up watching and loving horror and monster films. David also runs the Rondo Hatton Awards, an annual fan-voted presentation nominating the best and most talented writers, journalists, artists, filmmakers and Hall of Fame inductees who preserve and perpetuate horror, sci-fi and genre entertainment in all forms. Members of the CHFB and participants in the Rondo Awards extend the continuum of classic monster films like the original DRACULA and FRANKENSTEIN though 1950s sci-fi classics, the explosion of iconic horror film characters in the 1970s and '80s, up through today's horror renaissance with THE WALKING DEAD and beyond. Enjoy the energy of this live audience podcast episode in which the Damn Dirty Geeks and our guests chat and laugh off-the-cuff on stage at Monsterpalooza. Even so, we barely scratched the surface of discussion with both Kirk and David, and hope very much to have both back on our show as guests again soon to continue the fun. Special thanks to our sound engineer Brice Cranston for his extra efforts making this live recording run so smoothly, and to friend of the show Eric Kurland of 3-D Space for letting us share his convention theater to record this episode. 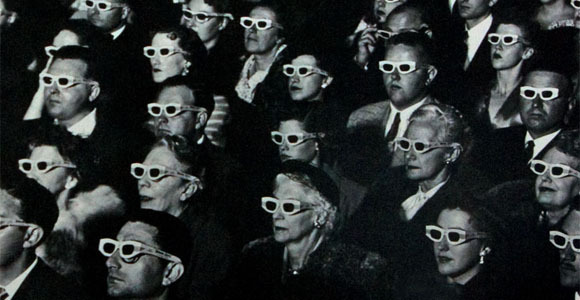 And don't forget to listen to this episode with your glasses on as we recorded the show in 3-D!